Seas of Gold - New events & DISCOUNTS! Join us on Seas of Gold this week for the 7 Days Big bonus event! 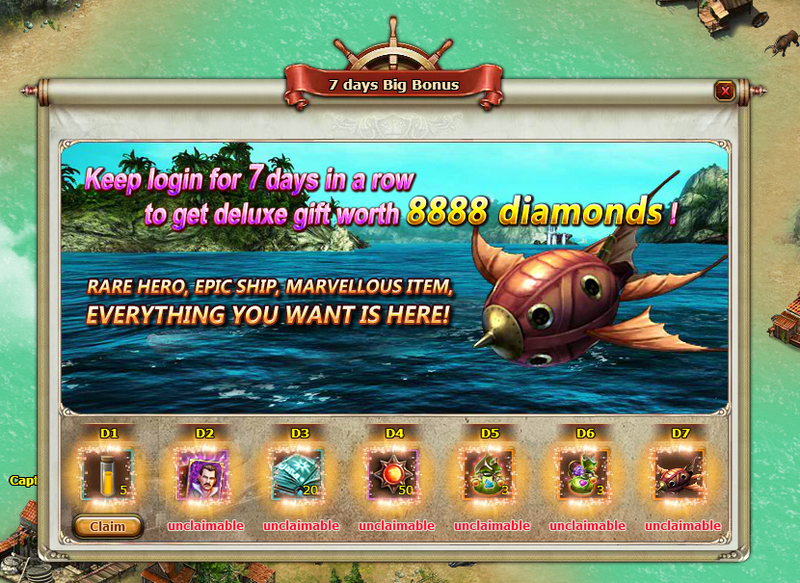 Log in each day to find a new gift waiting for you, including a Purple Quality Hero Sir Francis Drake and an Orange Quality Flying Fish Ship. We’ve also made some changes to the first recharge rewards - New players now receive Orange Quality Hero Mary Read. There are plenty of other surprises waiting for you in Seas of Gold this week. See you on the open seas!